Product prices and availability are accurate as of 2019-04-16 22:33:59 UTC and are subject to change. Any price and availability information displayed on http://www.amazon.co.uk/ at the time of purchase will apply to the purchase of this product. 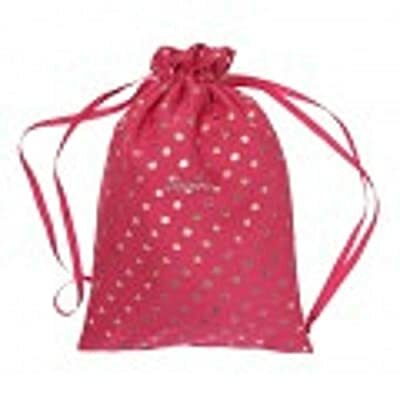 Keep your delicates together in the gorgeous Lula silky fuschia lingerie bag with gold spots. The bag is fully lined and has a drawstring closing and has "Lingerie" embroidered on the front. It measures 38 x 17 cm. 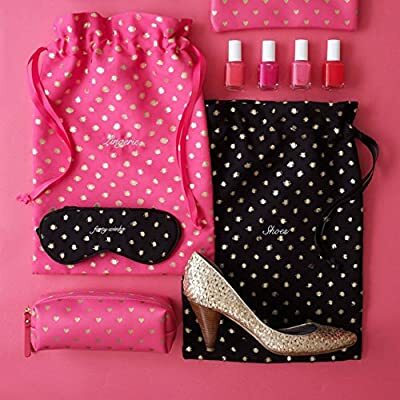 It makes the perfect gift for any girl, or just if you want to treat yourself.